The heritage suburb of Box Hill has a vibrancy that comes from being just a short distance from the bustling CBD. Box Hill is located 45 minutes from Melbourne Airport; it is ideally suited to the leisurely long weekend away or the corporate business traveller. Guests have access to the best galleries, restaurants, cafes, bars and shopping both in Box Hill, and Melbourne CBD. For those wanting to adventure far or close to home Art Series Smart Cars and Lekker Bicycles are available to get you from a to b. The perfect afternoon for little and big kids, Melbourne Zoo offers a wide selection of extensive animal habitats, including crowd favourites such as the Butterfly House and Trail of the Elephants. 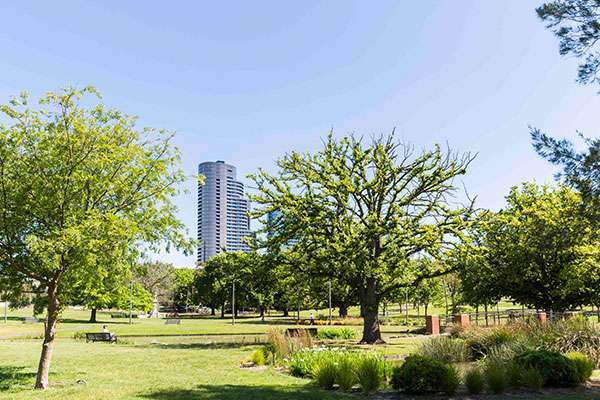 Located within walking distance of The Blackman, the Royal Botanical Gardens are one of Melbourne’s most popular tourist attractions and home to more than 50,000 plants spread across rolling hills and the tranquil Ornamental Lake. Car parking is available on site, self parking is $9 per day and valet parking $21 per day. Please note car parking is limited and not guaranteed. The Chen is located in the heart of Melbourne, just a short distance from the CBD. There are both trains and buses close-by. The Chen has 2 bus stops, Box Hill Gardens on Station Street and Box Hill Hospital on Arnold Street. There is one main train station near The Chen. Box Hill Railway station consists of the Belgrave and Lilydale lines. 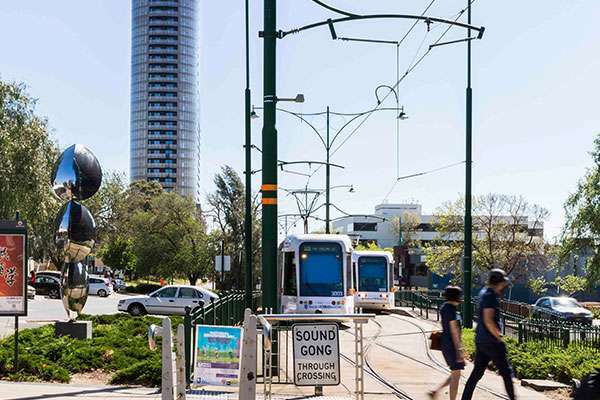 The 109 Tram is a 5 minute walk from The Chen and will take you into the heart of Port Melbourne and CBD.